Ailsa’s weekly travel theme focuses on foliage this week. As Albertans only have about 5 months of foliage per year (May through September) if we’re lucky, we enjoy it while we can. I love fall foliage (just keep hitting next to see plenty of examples), but lush greens fresh after a rain, or frost tipped leaves are just as fascinating as sweeping panoramas of glowing golds. 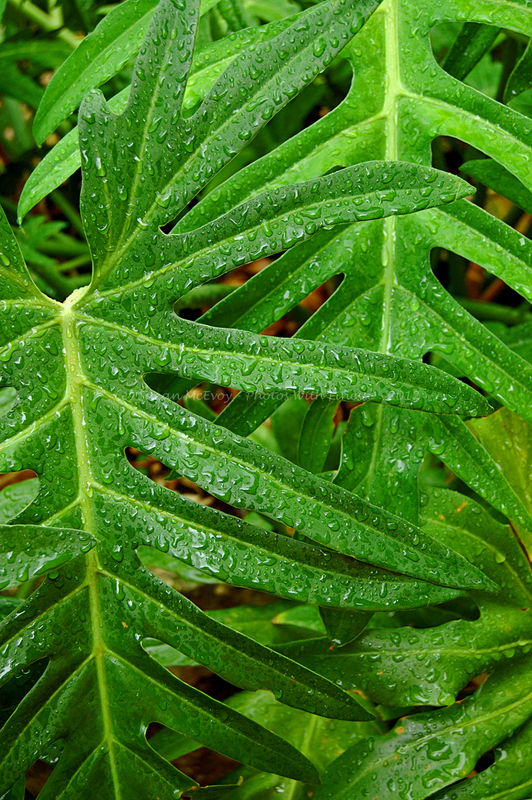 Lush greens glisten with raindrops after a tropical shower in Mexico. These Hosta at the Reader Rock Garden in Calgary shimmer after an overnight shower. 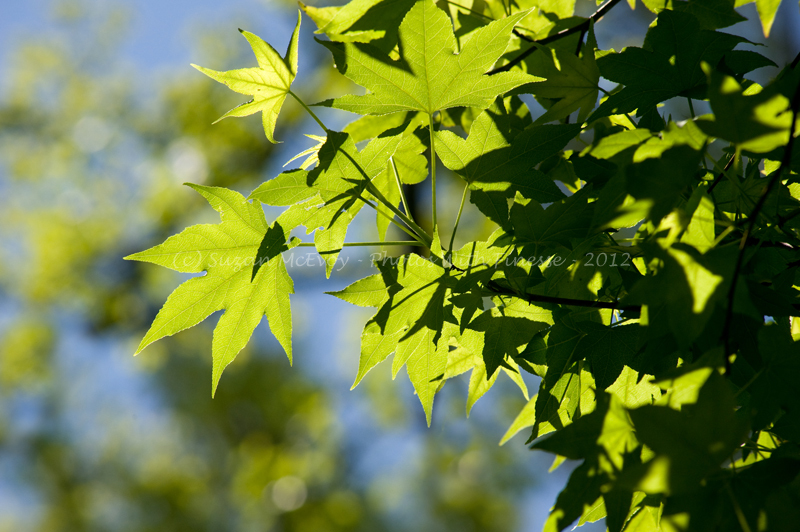 These Sweetgum leaves near Baton Rouge, Louisiana glow in the afternoon sun. 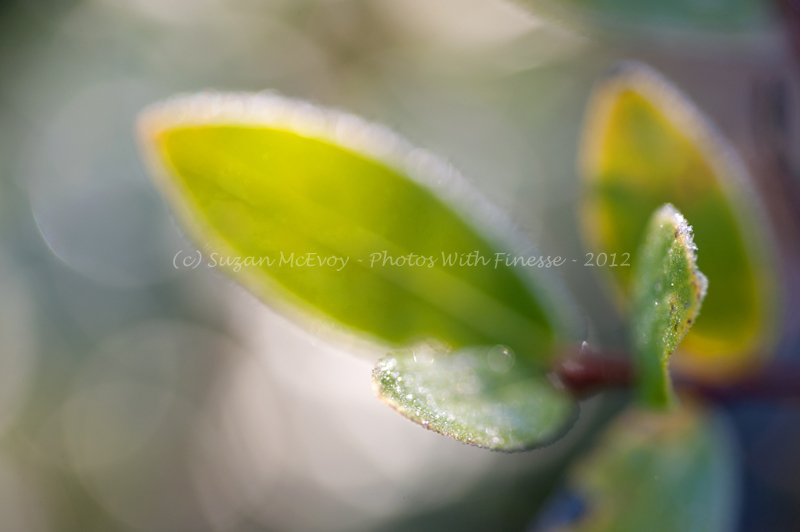 A light frosting highlights these leaves and morning sun makes everything sparkle. 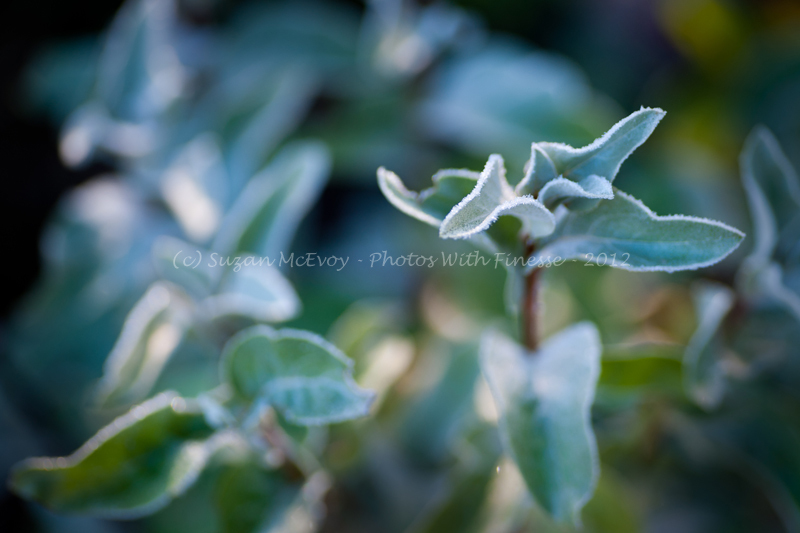 Early morning light highlights silvery leaves after a light frost. 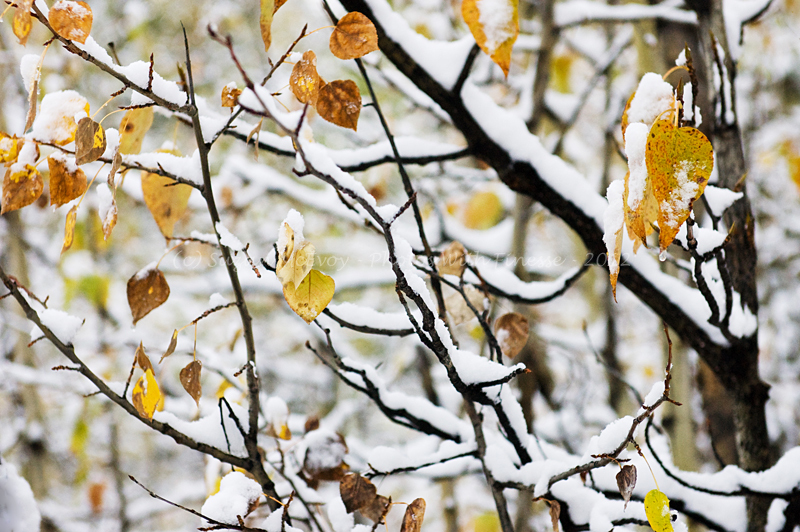 The first snow delicately balances on fall coloured leaves and branches. This entry was posted in Calgary, Fine Art Photography, Macro Photography, Photography, Weekly Travel Theme and tagged baton rouge louisiana, Calgary, Canada, Canadian Rockies, fall colours, fine art photography, foliage, frost, landscape, leaves, lush greens, nature, Photos With Finesse, plants, rain on leaves, travel, trees, weekly travel theme. Bookmark the permalink. 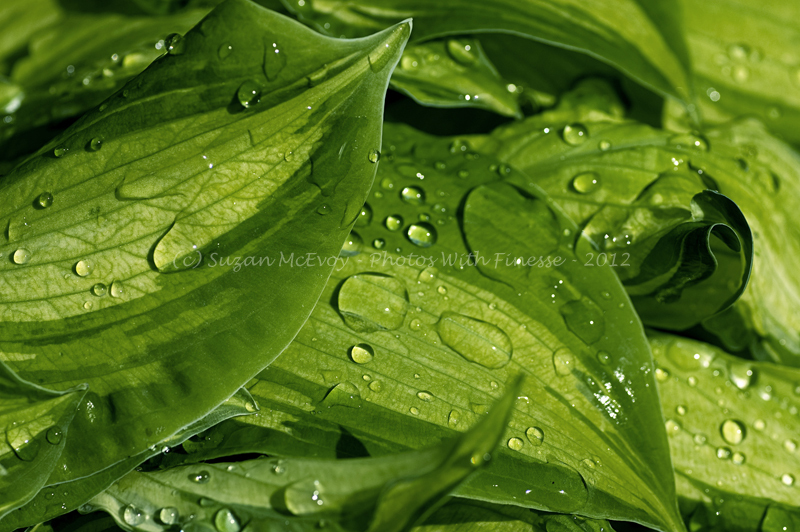 My favorite is the Hosta one – It is beautiful! Thanks Wendy. I’m a sucker for rain on leaves! And my favourite is the last one. Delicate snow on delicate branches! Nicely done. Thanks Jennifer – unless I move, I may as well make the most of the snow LOL. That is something I’ve always done. I could never handle the hard, long cold winters in Ontario! Wow ! All shots are gorgeous ! Great ! Thanks Inge. We do pretty well out here – would be perfect if we got reds like they do down east. I want a northeastern US trip in the fall sometime! All are beautiful in very unique ways. You have a wonderful eye!